Try this as often as you like. You will get a different set of questions each time you attempt this quiz. 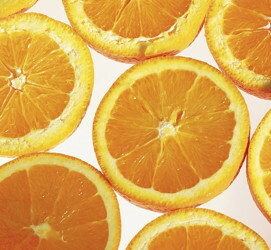 Vitamin C is necessary in our diets for healthy skin. Which one of the following acid is contained in vitamin C? Which of the following ions do all acids have in common? Which one of the following gases is produced when calcium reacts with sulfuric acid? An acid dissociates in water to produce hydrogen ions was first proposed by which chemist? A dibasic acid is one that can donate two hydrogen ions in solution. Which one of the following acids is TRIBASIC? Choose the weakest acid from the following list of acids. Which one of the following will make an alkaline solution when added to water? The hydronium ion (H3O+) may be formed when an acid reacts with water. Which one of the following structures best represents the structure of the hydronium ion? When pure hydrochloric acid (hydrogen chloride) is added to benzene (C6H6) and dry blue litmus paper added to the mixture, there is no colour change in the litmus paper from blue to red as one might expect. The hydrogen chloride does not dissociate to form hydrogen ions. Acids change litmus paper from red to blue only. Benzene is a strong base which neutralises the hydrogen chloride. Hydrogen chloride and benzene react together to form a neutral solution. A neutralisation reaction between an acid and a base may be represented by which of the following equations? 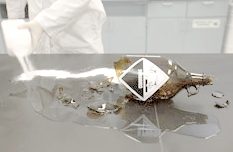 If an acid is spilt on the laboratory bench, which of the following substances should be added to it in order to neutralise it? A strong base is one that almost fully dissociates in water. Which one of the following substances is a strong base? Which one of the following equations best describes what happens when magnesium hydroxide is dissolves in water? 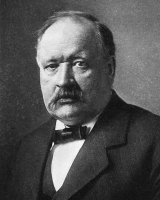 The Arrhenius Theory of acids and bases was replaced due to its shortcomings. Which one of the following was one of these shortcomings? Water is not always necessary in acid-base reactions. An acid dissociates to form hydrogen ions (H+). 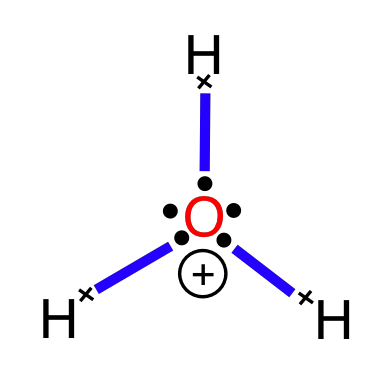 A base dissociates to form hydroxide ions (OH-). Weak acids and bases only partially dissociate. Which of the following pairs are the acids according to the Bronsted-Lowry definition? a conjugate base and a proton. a conjugate acid and a proton. an acid and a proton. H3O+ and H2O make up an acid-base pair. The conjugate base of H2O is H3O+. The conjugate acid of CH3COOH is CH3COO−. CH3COO− is the conjugate acid of CH3COOH. Which two species are acting as an acid and a conjugate acid in the following reaction? Hydrochloric acid + magnesium hydroxide ⇌ ? + ? Magnesium chloride and carbon dioxide and water. Which chemical is missing in the following word equation? Which of the following reactions takes place when a metal carbonate reacts with an acid? Which species act as Brønsted–Lowry bases in the following reactions? Which statements support the description of aluminium oxide as amphoteric? 1. It can show acidic behaviour in the presence of strong alkalis. 2. It can show alkaline behaviour in the presence of strong acids. 3. It dissolves in water to form a neutral solution. Which of the following are conjugate acid-base pairs? What is the conjugate base of the HSO4−(aq) ion? Lime is added to a lake to neutralize the effects of acid rain. The pH value of the lake water rises from 4 to 7. What is the change in concentration of H+ ions in the lake water? Which of the following is a Brønsted-Lowry acid-base pair? In which reaction is H2PO4− acting as a Brønsted-Lowry base? Which one of the following solution contains the least amount of H+ ions?